Many kinds of fruits and vegetables exhibit anti-inflammatory effects, and red cherries are no exception. Fresh or frozen, red cherries are a nutritional powerhouse, and, as a dried fruit, red cherries rank second only to goji berries when it comes to antioxidant levels. Red cherries, which contain anthocyanin phytonutrients, are a natural COX-2 inhibitor. COX-2 is an enzyme in our stomachs that is responsible for pain and inflammation, while COX-1 protects the stomach lining. Red cherries may inhibit inflammation in our bodies more effectively than nonselective drugs (like Vioxx or ibuprofen), because these fruits suppress the COX-2 enzyme more than COX-1. Pharmaceutical drugs, on the other hand, indiscriminately target both COX 1 and COX2, which can cause internal bleeding or heart attacks. Studies have shown that as little as a half cup of cherries, or two tablespoons of cherry juice a day, may significantly lower the risk of gout, a painful inflammatory arthritis. In one study, regular cherry juice consumption even allowed gout patients to stop taking their anti-inflammatory medication. In another study, healthy individuals who ate about 45 cherries daily for a month saw a 25% reduction in C-reactive protein, which is a marker for chronic inflammation; people with higher levels of inflammation showed similar improvement after the cherry regimen. 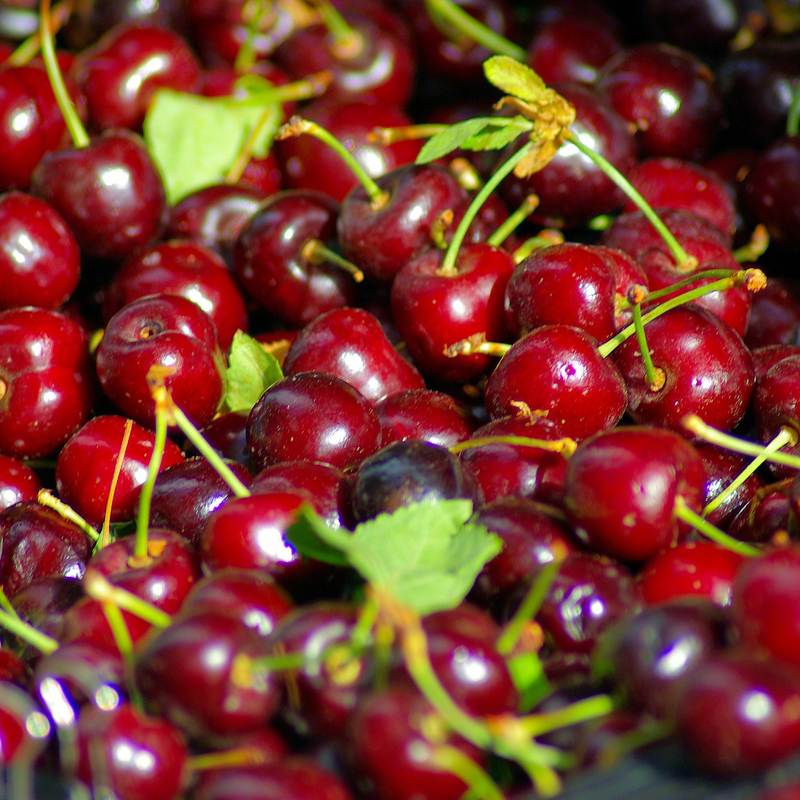 Cherry juice was found to have significant but modest improvements in sleep among older subjects with chronic insomnia. Similar results were noted when subjects ate cherries. Researchers believe it was the melatonin levels in the cherries that led to these results; please note that tart cherries have much more melatonin than sweet or dried cherries. Cherries’ inflammatory-fighting capabilities may also combat muscle soreness, the kind triggered by an overly rigorous workout. Image Credit: Mike Goad / Pixabay. This image has been modified.